The Government should set minimum prices that businesses will pay for unsold rice in the Mekong Delta to ensure that farmers profit, proposed leaders of Dong Thap Province Department of Agriculture and Rural Development. To help farmers in the Mekong Delta, who have bumper summer-autumn rice that have remained unsold despite low prices, Prime Minister Nguyen Tan Dung made the decision to buy one million ton of the unsold rice for reserve. Accordingly, businesses will receive loans to purchase rice. The Government will subsidize 100 percent of interest on the loans. The duration for purchasing will be from July 15 to September 15 while the duration of subsidized interest rates will extend through November 15. However, the public has raised concern over whether companies will pay are high enough to ensure a profit for farmers. Pham Thi Hoa, director of An Giang Province Department of Agriculture and Rural Development said that to ensure farmers receive a 30 percent profit margin, businesses should pay VND5,000 a kilogram of high quality rice while the current has been set at just VND3,800. It is peak time when farmers in An Giang and Dong Thap provinces harvest summer-autumn rice crops, which have yielded high output. However, they are very concerned as the rice prices are too low but rice is still unsold. Nguyen Van Tong, from Dong Thap Province’s Tam Nong District, said that it is a bumper crop as he harvested three hectares of rice, yielding 16 tons, which is two tons higher than last year’s crop. However, he has worried as nobody has bought his product. According to Hoa Binh Commune People’s Committee, a kilogram of normal-quality rice now fetches only VND3,400, the lowest level since the beginning of the year. 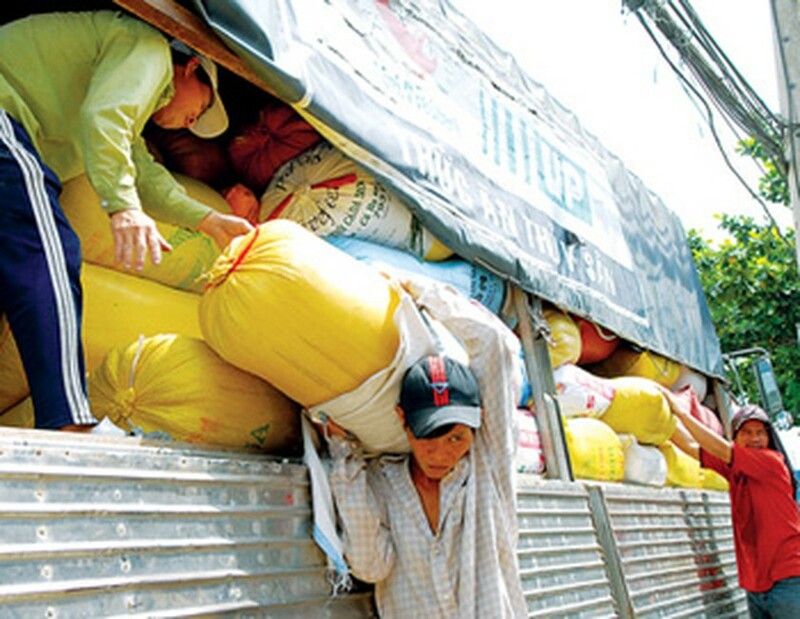 While the rice output increases everyday, the prices have gone down, said Pham Thi Hoa deputy director of An Giang Province’s Department of Agriculture and Rural Development. Tien Giang Province already has 108,000 tons of unsold summer-autumn rice. An official from Vietnam Food Association (VFA) said that businesses have lamented that rice quality is too low and fails to meet export standards. 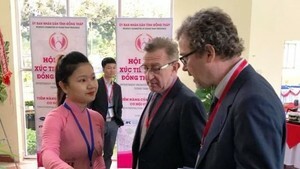 Nguyen Van Bong, director of Hau Giang Province Department of Agriculture and Rural Development said that farmers in the delta produce too much of the low-quality variety IR50404, as it is easy to cultivate and yields high output.